The rise of Montone dates back to the end of the first millennium when we have the earliest records available on its existence. As numerous archeological finds attest, this ancient Umbrian “pagus” had its maximum development in the IX century when numerous fortified castles, including Rocca d’Aries, raised on the way from Tiferno to Gubbio. 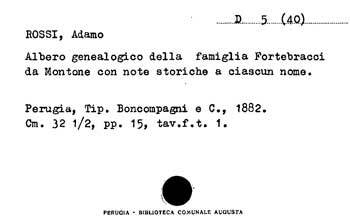 A document written in 1121 confirms the existence of a fortified village (castrum) with a castle and a church which could have its own statutes and administrate public affairs through their influential persons, even if under the direct control of Perugia. The fortified castle was a feud of the Marquess of Colle and it become a Comune in 1150, headed by a general council and two consuls. In the 15th century, Montone lived the moment of his greatest splendor, thanks to Braccio from Montone (Andrea Fortebracci) who, in addition to being one of the greatest soldiers of fortune, made an effort to work for the birth of a single state which its capital city was Perugia. But despite the undoubted qualities as strategist and politician, his life and his ideals were tragically terminated. Montone, like most of central Italy’s territories, was finally subjected to the power of the Church. With the consent of the Church, Montone remained for more than a century under the rule of Vitelli family from Città di Castello; with only a short and illusory interval at the end of 1700, when the city joined the Repubblica Cisalpina; then, it was re-annexed to the Papal State until the completion of the unification of Italy. The story of the 20th century has unfortunately seen Montone and its people engaged again, with a remarkable tribute of blood and pain in the two World Wars and in the fight for the Resistance.